﻿ Spa Guest House, Pattaya | FROM $15 - SAVE ON AGODA! "The rooms are nice and the location is good, near the beach." Have a question for Spa Guest House? "Friendly staff, clean and big rooms." "Great night at Bangkok and we do have a pleasure time there..."
Situated in Jomtien Beach, Spa Guest House is the perfect place to experience Pattaya and its surroundings. From here, guests can enjoy easy access to all that the lively city has to offer. With the city's main attractions such as Royal Norwegian Consulate, Royal Danish Consulate, Jungle Bungy Jump within close reach, visitors to the hotel will just love its location. 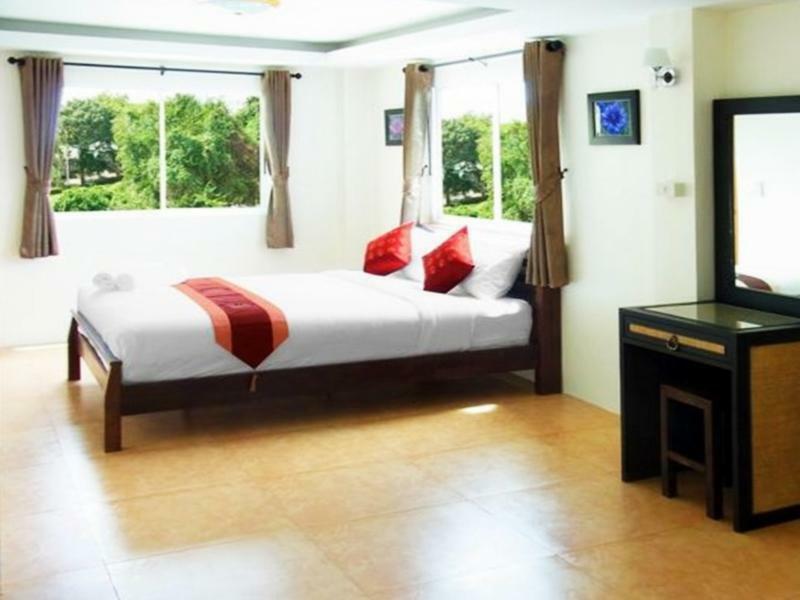 Spa Guest House also offers many facilities to enrich your stay in Pattaya. Top features of the hotel include free Wi-Fi in all rooms, Wi-Fi in public areas, room service, safety deposit boxes. Spa Guest House is home to 6 bedrooms. All are tastefully furnished and many even provide such comforts as television LCD/plasma screen, internet access – wireless, internet access – wireless (complimentary), non smoking rooms, air conditioning. The hotel offers wonderful recreational facilities such as hot tub, spa, massage to make your stay truly unforgettable. 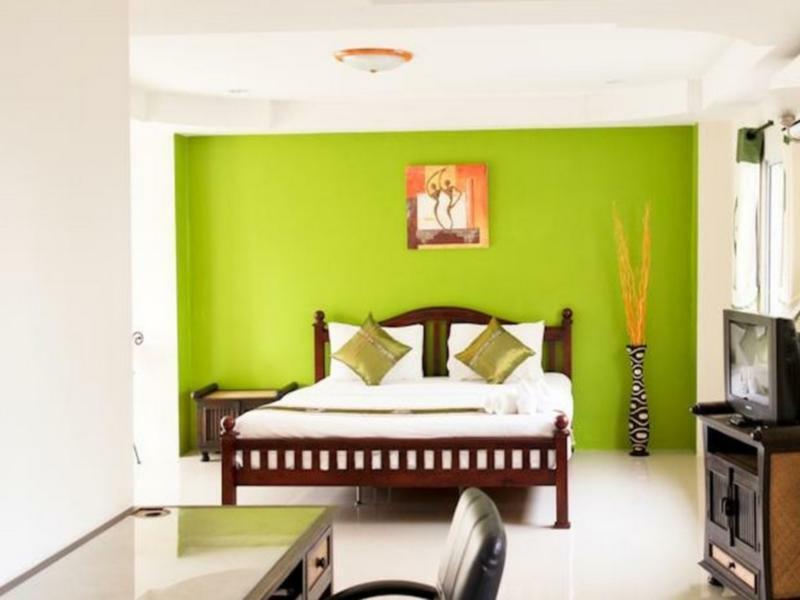 Spa Guest House is a smart choice for travelers to Pattaya, offering a relaxed and hassle-free stay every time. Its clean & stuff was good but internet speed was so bad. Should improve their internet. The room was very spacious, convenient location. But when i arrived late in the evening, no one was at reception, so the check-in experience wasn't smooth. Friendly staff, clean and big rooms. Good value for money. The rooms are nice and the location is good, near the beach. It is in a Russian area, and there is some noise from bars but not too bad. Overall, a good place. After staying 2 nights in a more expensive hotel we thought we would try a cheaper one as we had felt ripped off. Located in a main street not to far from the beach ¬10 minutes. There is a gogo bar opposite but not obtrusive and the sound at night is not an issue (the room is well built). Upon arrival we were greeted by a very friendly, kind woman. not the cold professionalism of our previous place. The deluxe room was large, very clean, very cheap and had enough furniture to make it feel less cold/sparse. No breakfast but i wake up late anyway and the street food is easily good enough. Wifi Was on and off but when we raised this we were given access to another network which was fine (real wifi, not the sign in on your browser rubbish that the chains give you). Better than the Grand Jomtein Palace hotel at 5 times the cost and essentially the same location. I would certainly consider this if you are looking for a place to stay in Jomtien. The Deluxe room on the 3rd floor had serious electrical problems: 10 lights were not working. I waited around for awhile for them to fix it, but the issue was with the wiring, not the bulbs. Be very careful here with electrical fixtures, especially in the bathroom, as it's not wired properly and this can be a dangerous issue in Thailand. I moved to a standard room on the same floor, which was just as well, since the deluxe rooms, while bigger, front onto a noisy road with bars that play music into the night. I discussed with the owner the possibility of a refund or a discount on a future stay, which she agreed to in theory. But when I tried to book the same room again a couple nights later, and reminded her of the discount I was entitled to from paying for a more expensive room than I stayed in last time, she became very unreasonable, telling me I already had been given a generous cash refund by her sister, who works cleaning rooms there. This was absolutely untrue, and I told her I had never been given any refund at all, and would like a discount if I booked again. She told me all the rooms were full -- I checked on Agoda -- there were plenty of vacancies. Very odd behavior. Not a bad place if you stay in the small rooms in the back and make sure you do not overpay. The rack rate is absurdly overpriced, better to book through Agoda or you will pay much more. The deluxe room was clean, spacious and quiet. The guest house is very small with only 6 rooms, superior and deluxe half and half. Deluxe rooms are nice and big where as the superior rooms are quite a bit smaller. There's no elevator wich might be a problem for some people as the rooms are on floors 2-4. Staff is very nice, near the beach. Clean large room. I enjoyed my stay much better friendly staff then previous hotel nirvana! Very nice room size, quite just a 2 minutes walk to the beach at soy 12, stuff is very polite. Nice quite place to stay. Location - just 400 m to Jomtien Beach. Room - extra large room with quality furniture. Staff - friendly and accommodating. I would stay here again for sure. Catch a songthaew (10 baht) at the Esplanade, go north to Soi 5 (I think) to catch a minivan to Victory Monument. Quiet location and easy access to transport and the beach is a short walk. I found this small hotel very clean and tidy it was equiped with the essentials It was on a main road and easy to find good bars opposite the hotel and close to all shopping. This hotel is not far from Jomtien Beach road and the beach and plenty of restaurants.One problem was the bathroom after using the shower the whole bathroom toilet floor was a wet area . Made our honeymoon the best experience. The rooms are really nice and worth every cent you pay for. The staff are really friendly and extremely helpful. The beach is literally a one minute walk from the beach and several shops and restaurants. Highly recommended!! hotel situated in a good location only few minutes away from beach. beach lovers will enjoy.for shopping its bit far away but no complaints you get frequent transport to working street and shopping.hotel is new and the room is excellent but there is no breakfast and elevator. i like the receptionist and the cleanliness. i could open the window and see the go go bars but you can always close the blinds. i didn't like how you can hear the cars go by the hotel. it was a little bit loud so i wasn't able to get to fifth level of rem sleep. but in the middle of night it is very quiet. but in the morning it sounds like a bustling city.